Until recently I was a Topshop Makeup virgin and then for my birthday I received 2 items. 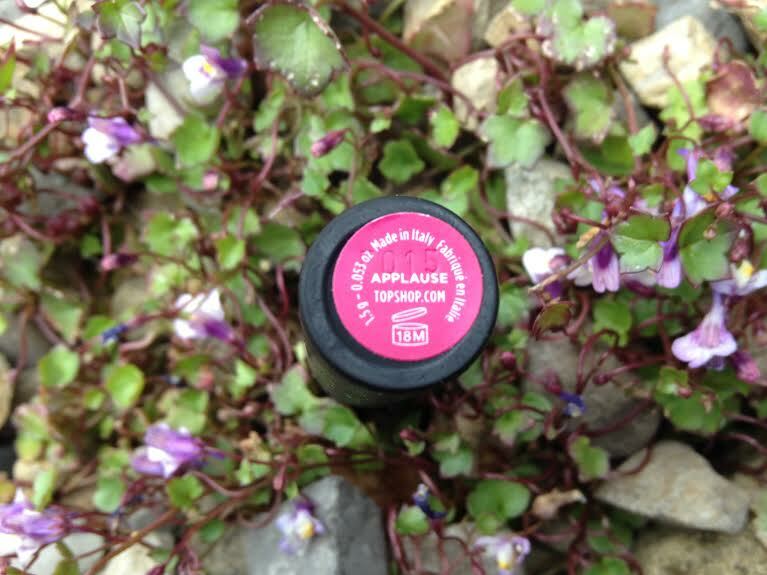 A eyeshadow palette and the Sheer Lip Lipstick in Applause. 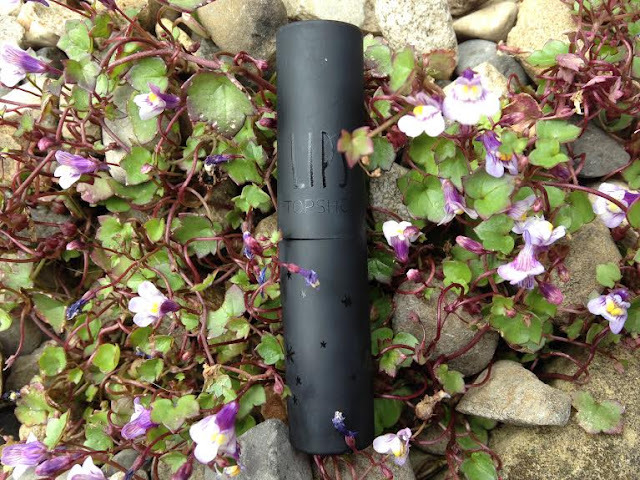 I love the packaging on these lipsticks a slimline matte black bullet with shiny black writing making the product look very sleek. 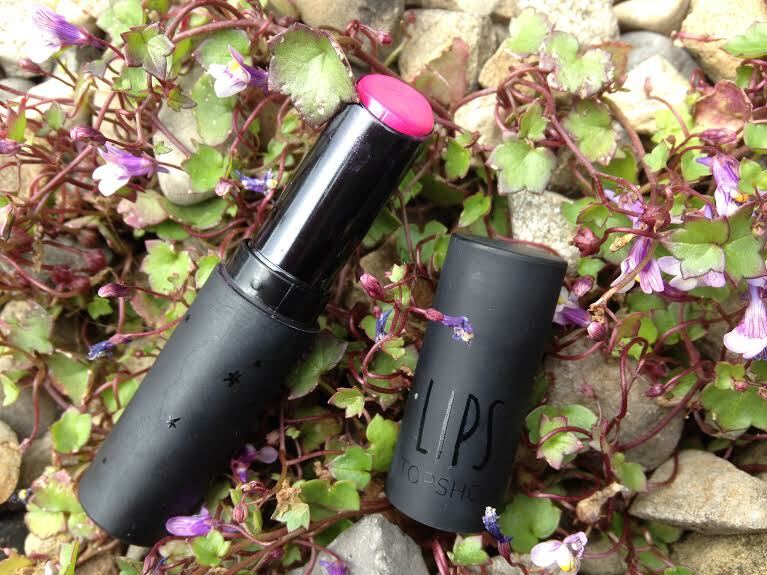 An ultra-moisturising, balmy finish lipstick with sheer to medium coverage and glossy finish. The sheer finish creates a natural looking stain or can be layered for more vibrant colour. Creamy and smoothing, the Sheer Lip is totally versatile; perfect as a glossy topcoat over lipstick or lip pencil, or worn alone for an easy balm finish. 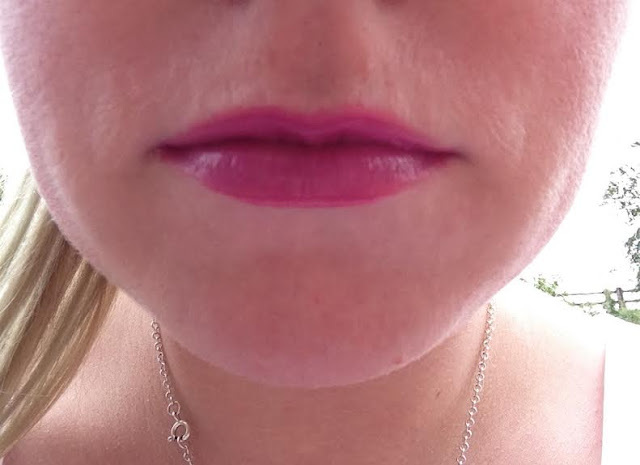 I was actually quite impressed with the colour payoff on this lip product described by words like 'sheer' and 'Balmy' I didn't have much hope on the long-lasting and pigmentation side but I have to admit I was wrong. Applause Is a gorgeous bright fuchsia pink which glides across the lip beautifully its formula is very buttery and leaves your lips instantly feeling hydrated. Wear time I have had a good 3 and half hours wear out of this before it started to fade which for something so glossy and buttery I think is really good going. 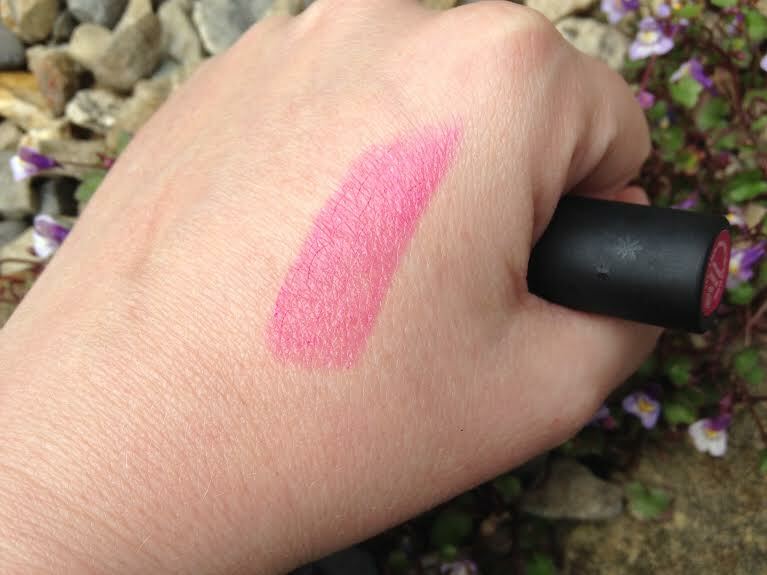 On applying the product feels thick and creamy but once on it lovely and lightweight and not at all sticky. Overall I think this lip product is a brilliant so much better payoff than a normal tinted lip balm but still as hydrating. I will definitely be looking at the other colours and looking at the website looks like they are now in the sale here. Have you tried any of the other colours? is the payoff as good? So Im going to start a new little series on my blog. Fight Fit Friday will show meals I have eaten during the week and exercises and also when needed a progress photo to show how far I have come. Sometimes this may even be a recipe or a mini workout. 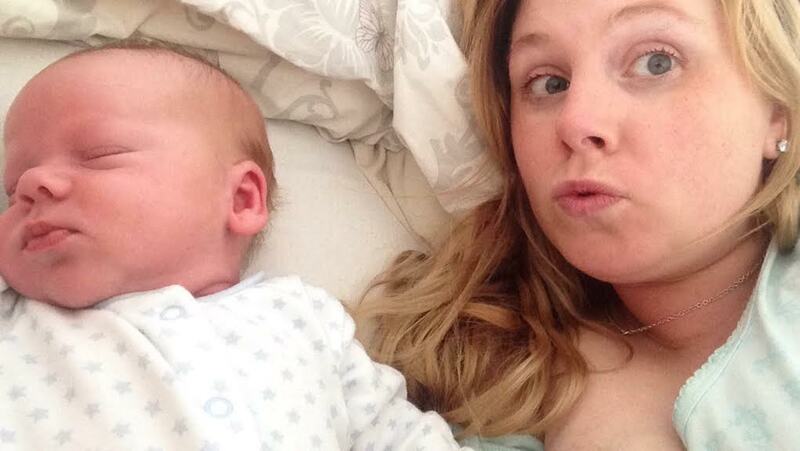 At the moment I cannot exercise as I had an Emergency C section 3 weeks ago. So exercise this week as been walking round soothing a baby (actually a very good arm workout). 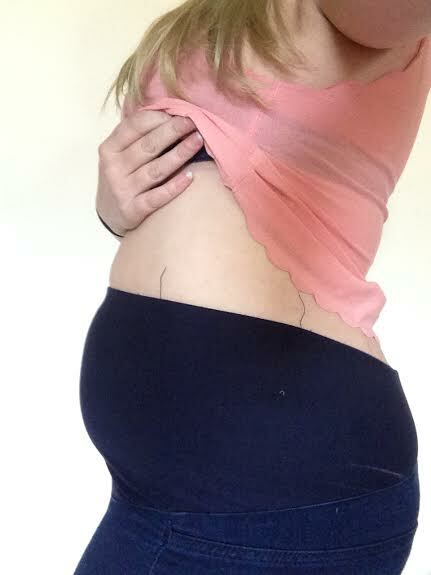 I had a really bad weight gain during pregnancy due to carrying excess fluid and this has left my skin very untoned and flabby. 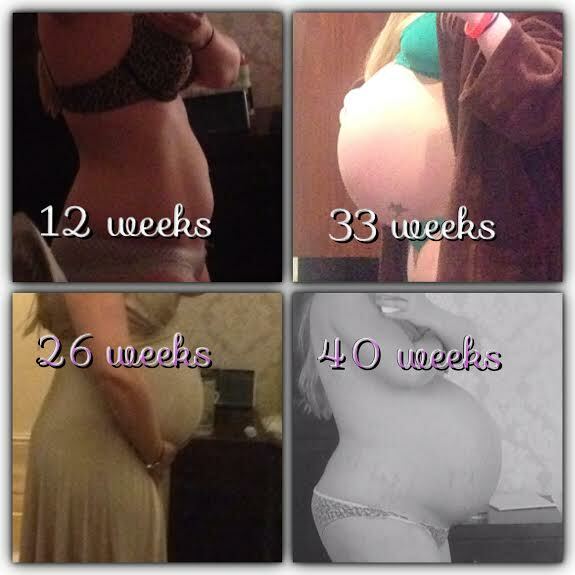 Here are the photos of me during my pregnancy my midwife said I was biggest she had seen from only carrying one baby, Luckily the weight was mostly upfront. I gained nearly 3 and half stone. I can't believe I actually thought I was getting big at 12 weeks!! 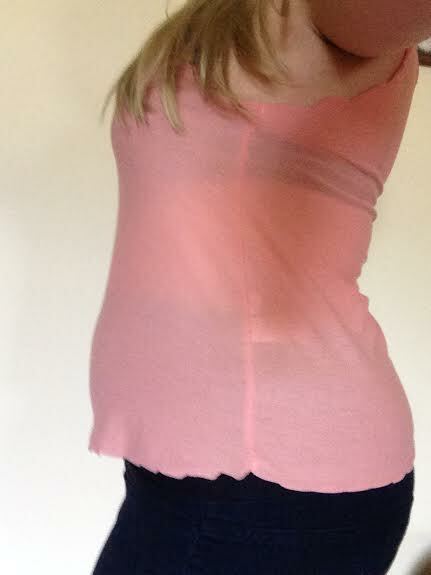 As you can see from the 40 Week picture I did start getting a few stretch marks at the end too. I left the hospital 3 days after giving birth and I honestly still looked full term but after 3 weeks of been home and healthy eating the weight seems to be dropping off. So here is the start of my journey of getting back into my size 10s as I'm having to live in my maternity jeans and leggings at the moment. Ive decided I'm not going to weigh myself but go with pictures and how I feel about my own reflection. Since becoming pregnant and being a new mum I have switched from my usual foundations to tinted moisturisers or BB creams due to my skin been even more dry than usual and not wanting the heavy feeling of a thick foundation. The Body Shop Vitamin E Cool BB Creme* has definitely been one I've been reaching for most days. It has a lovely thick creamy consistency which I like my BB creams to have. I was a little scared of the shade at the beginning as one shade for all but blended very naturally. If you are wanting coverage this product is definitely not for you it is more a moisturiser with a tint. That said I think it definitely evens out skin tone making you look smoother and more radiant. Meet our skincare hero, Vitamin E Cool BB Cream. Our new take on BB cream illuminates, evens skin tone and protects with moisture for 12 hours. Available in one cool shade, the lightweight texture will effortlessly blend onto skin for a fresh and natural look. One cool shade effortlessly blend onto skin for a fresh and natural look. I do think I agree with most of the comments above I think some could argue on the lightweight texture as I do think this is quite a thick cream which can take a few minutes to soak in. I don't have any problems with this as I like the feeling of it with my normally dry skin. Not sure how this will work on oily skin as find it hydrates and makes my skin look nice and dewy. Price wise this product is £11 (here) so on the expensive end of BB creams but do I think it is worth it ... well I have repurchased and am still enjoying it. Only downside is no SPF so if you do purchase remember to put on a sunscreen or SPF moisturiser underneath especially now we finally have some sun. How my life has changed. Currently sat in my dressing gown whilst my phone is set to play the sound of the rain (the only thing that has stopped him crying today) whilst the little man has finally settled and is trumping away. Cant remember the last time I got my much needed beauty sleep. But would I change it ... no I don't think I would. So I thought I would introduce my little bundle of joy and the reason I have been absent for so long. 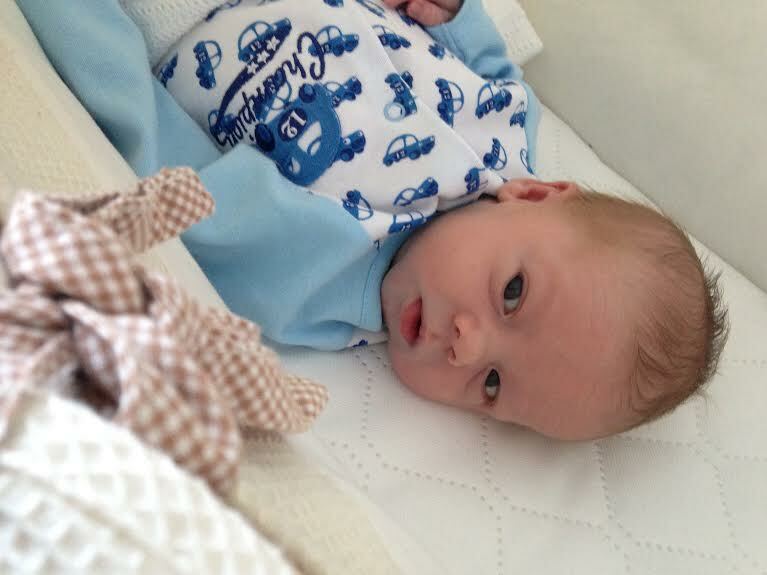 His name is Grayson and he was born on the 26th May by an emergency C- Section following a traumatic labour and quite a problematic pregnancy. 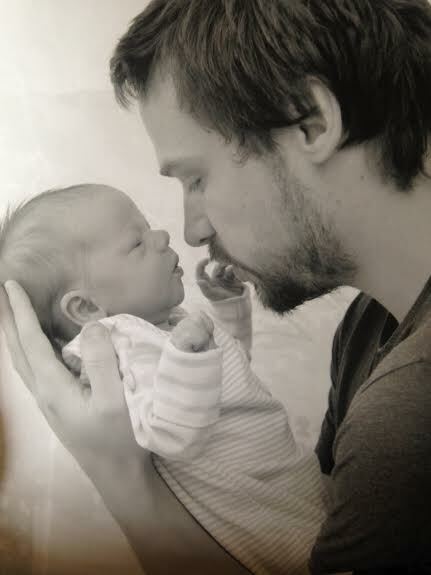 I Love this picture of Grayson and his daddy taken at hospital at one day old. 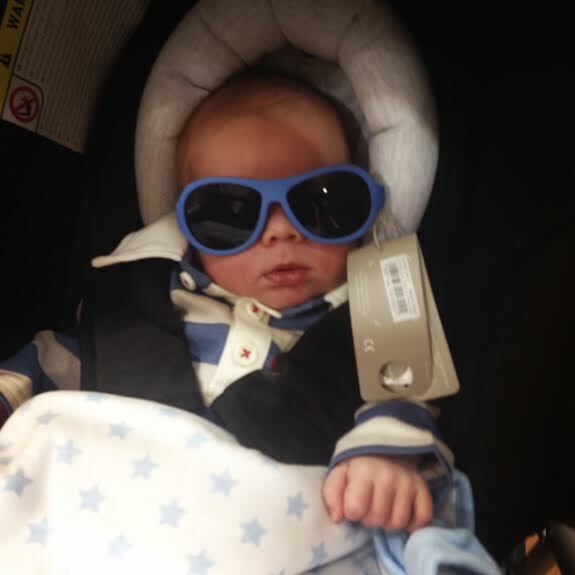 We had fun whilst he was asleep at Mothercare need to buy him some sunglasses as he looked too cute in them. Its been nice to sit and write and take some me time and hoping (fingers and toes crossed) over the next few weeks we can get into a proper routine and blogging will be a big part of my life again. I may start having time to do my makeup again too on a daily basis! !